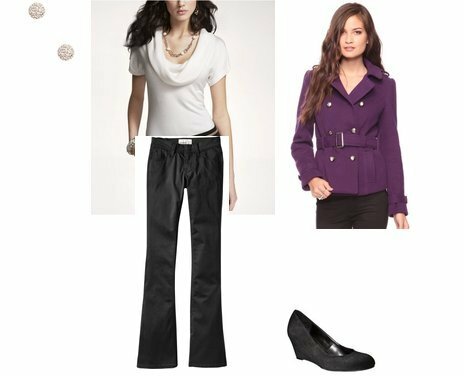 Reader Rachael is attending a wedding this fall and the attire is listed as "fall business casual". It's an outdoor wedding and there will be a hayride and other activities going on, so she needs something appropriate for both. She's extremely budget conscious, not wanting to spend more than $100 on the entire look unless there's a great item like a coat or shoes that she could use for other occasions. Here are two outfit options I sent her, click on any image for more information. For this first look I would suggest adding a coat, although this one that I love will put her over the $100 budget. It would definitely be something she could wear again - I like the leopard but the black or red is great too. Thank you! 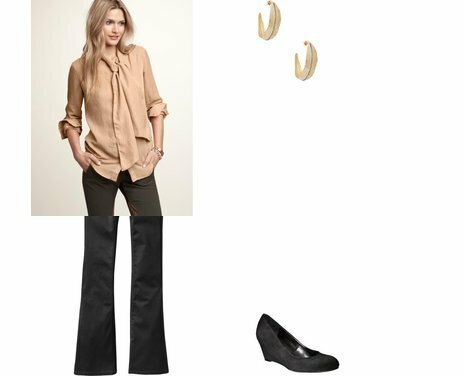 Loving the blouse, and these options are so versatile I don't mind spending more on the styles. Plus, I already have some key pieces (like similar wedges from Cole Haan) that will work with the ideas. Thanks!